I'm currently at the airport of Strasbourg, France, waiting for the flight that will take me back to Belgium. 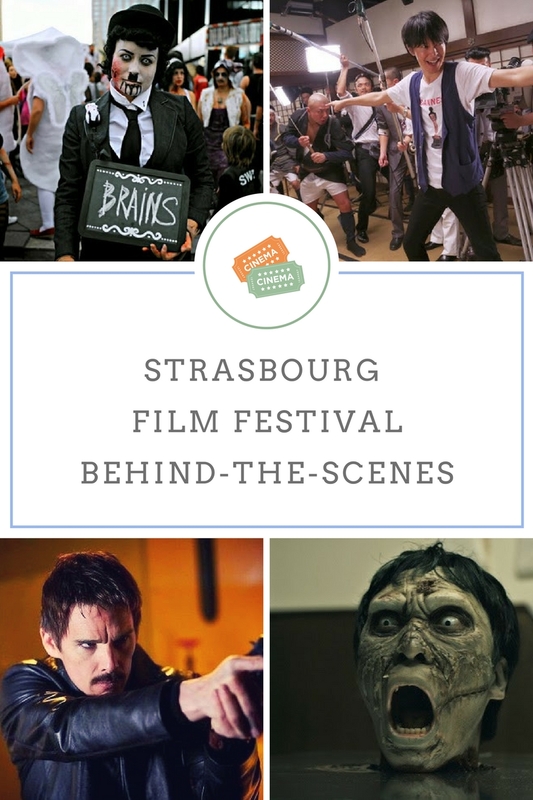 I've been here since Thursday to attend the Strasbourg European Fantastic Film Festival and to discover the beautiful Alsatian town in between films and meetings. Here are the gems I've seen at the festival. Enjoy. Starry Eyes delves into the world of failed but ambitious actors and questions whether they would sell their soul to the devil for a part. With thorough character development, good pacing, and several inventive and atmospheric scenes, there's a lot to be admired in this little flick that is heavily influenced by Bava and interspersed with elements from Anguish, The Fly and Mulholland Drive. The problem is Starry Eyes should never have been a horror film. The idea of "selling one's soul to the devil" is too literal. By their actions alone, the characters are already underlining the film's premise and just a hint of the supernatural would have been enough to tilt the film to another level. Though Starry Eyes is definitely a recommended watch, it would have worked so much better without its devil worshippers, killings, and transformation scenes. 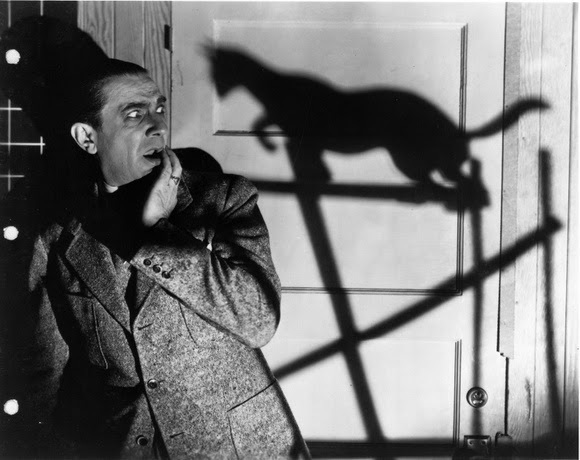 Starring Bela Lugosi and Boris Karloff, The Black Cat (1934) focuses on a couple trapped in the home of a satan worshipper who preserves women in glass cages. Despite its cult status, the film has aged badly and suffers from an incoherent plot and bad acting. Also, it hardly bears any relation to Edgar Allan Poe's The Black Cat but instead draws inspiration from the life of Aleister Crowley who killed cats and devoted his life to occult practices. Inspired by the true story of "Honeymoon Killers" Raymond Fernandez and Martha Beck, Alleluia may seem like a story you've seen before, but it's the daring direction and stunning photography that make the film both original and remarkable. It's most of all a movie of opposites in which violence mingles with humor, refinement with trash, love with disgust, and realism with exaggeration. Once in a while, Alleluia transgresses the borders of the ridiculous, but for most of the film, the balance is just right. It overflows with personality and even flirts with brilliance. 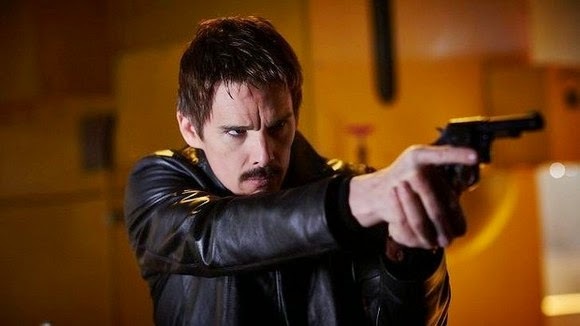 At the core, Predestination is just your ordinary sci-fi about a man (Ethan Hawke) who time travels to prevent a crime from happening. The events are not logic, definitely not realistic, and, at a certain point, even predictable, but the underlying concept is so twisted it'll stick. Based on Robert Heinlein's All You Zombies. Doc Of The Dead promises to close any remaining gaps in your knowledge of zombies, but I'd rather call it Zombies For Dummies as it doesn't mention much more than cult classics such as White Zombie, I Walked With A Zombie, Shawn Of The Dead, World War Z, the George Romero movies, and well-known zombie games. 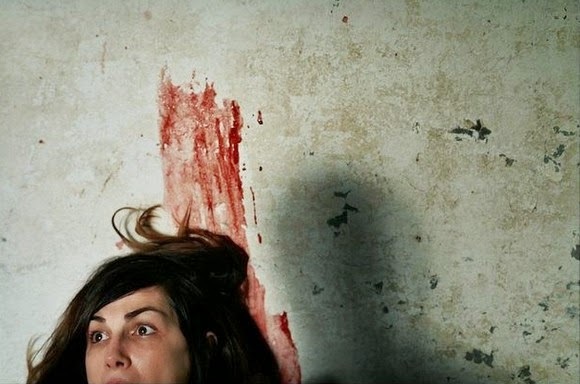 What about the vague of Italian zombie films from the seventies and eighties? 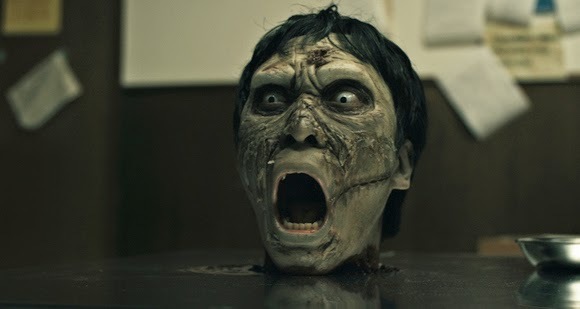 Where are the many indie flicks about the undead? How about zombies in other cultures? Doc Of The Dead doesn't even have its information right. The recent Warm Bodies is not the first romantic zombie film as the filmmaker pretends. 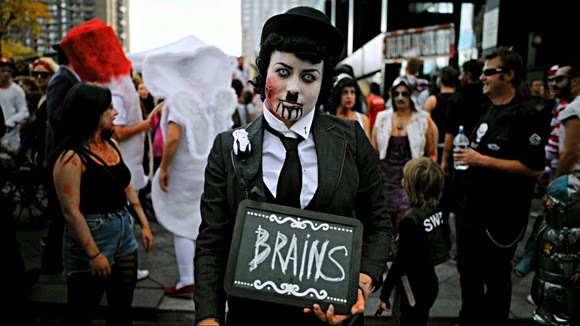 Zombie Honeymoon, to give an example, has been made way before that, more precisely in 2004. For a sixteen-year-old, Doc Of The Dead can be a good introduction and a lot of fun, otherwise, you'll have the impression that the documentary was made by someone who doesn't know much about zombies at all. Zombified beavers = Zombeavers. What else can it be but a guilty pleasure? Yes, it's silly. Yes, it has awful special effects and no character development whatsoever. But who cares? It's an hour and a half of fun, mindless entertainment. Too mindless, maybe. Zombeavers could certainly have benefited from better jokes and more originality, although I did like the idea of people and animals growing beaver teeth and gnawing on wood. Sion Sono's latest follows a group of filmmakers that make a feature about a war between two Yakuza clans. Only the outrageously bloody scenes from the third act got my attention. The rest of Why Don't You Play In Hell? was well-made, but rather boring. It's getting critical acclaim elsewhere, though. Picking up where Dead Snow 1 left off, Tommy Wirkola enhances the premise and delves further into the concept as he addresses the criticism on his first movie. 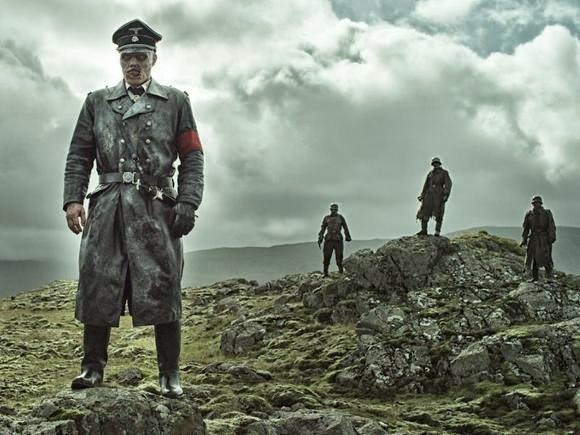 Overall, Dead Snow 2: Dead or Red is darker, better scripted and more original than its predecessor. It also develops its location beyond the borders of the cabin and sets its action against a backdrop of stunning Norwegian landscapes (at a certain point, the zombified nazi battalion attacks an entire village – an absolutely thrilling sequence). If there's one flaw to be voiced, it's that the Zombie Squad and Star Wars jokes are forced and ridiculous. Twenty-six horror directors were each allocated a letter of the alphabet and, on that basis, had to direct a short film of a few minutes, choosing as its title a word that begins with that letter. Just as in the first installment of ABCs Of Death, the execution is poor and good ideas are lacking. Only one short stood out, and that was the K-section from Kristina Buozyte (who you might know from the excellent Vanishing Waves). On the plus side should be mentioned the vast diversity and the fact that they leave the viewer to guess the word/killing method until the end of each short. No worries about missing the blogfest. Predestination sounds interesting. And I'd heard about the one with the zombie beavers. It must be really cool to go to so many film festivals. Alleluia sounds particularly good. I really am intrigued by "Predestination" - looks and sounds like a cool movie concept!! Was Zombeavers a Canadian movie, by any chance? Beavers are our national emblem and well, it sounds like the film had Canadian movie production values. MERCI pour ce partage chère Vanessa !!! J'aime beaucoup !!! I would love to go to this Film Festival! Fun stuff ;o) Zombeavers has to be Canadian! LOL! Some of these look really gruesome. I enjoy dark films, so I'd like to see many of these. ha! Those definitely look interesting! Nice share. This event looks like it had a little of everything. Sound such an interesting affair to attend! I'm jealous much! Have fun! Sounds like you are having an amazing time! 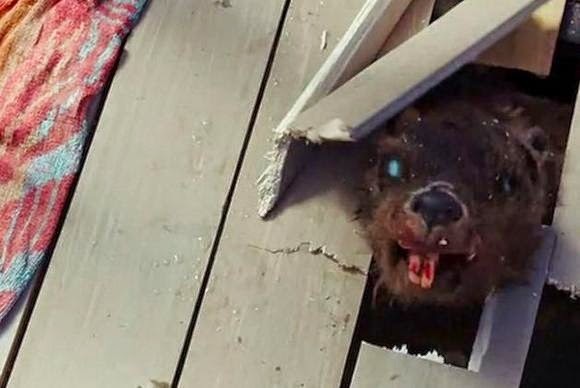 For its originality, I'd see Zombeavers. None of the others intrigue me - I'm too scared to watch horror movies. 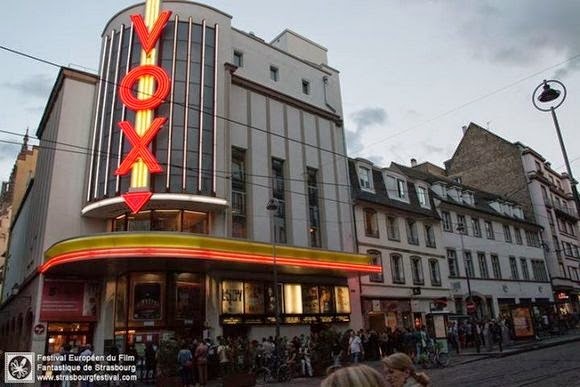 That theater looks very cool. Looking forward to what you have to share from Belgium. thanks for all the details! i'm living vicariously through your blog post! awesome scariness for halloween coming up! Zombeavers!!! That sounds so awesome :-) And The Black Cat sounds ripe for a remake - the story sounds quite interesting. I'm definitely adding Zombeavers to my must-see queue. That's quite the range of films - I think Zombeavers would be my favorite! What a great set of films! Enjoy!